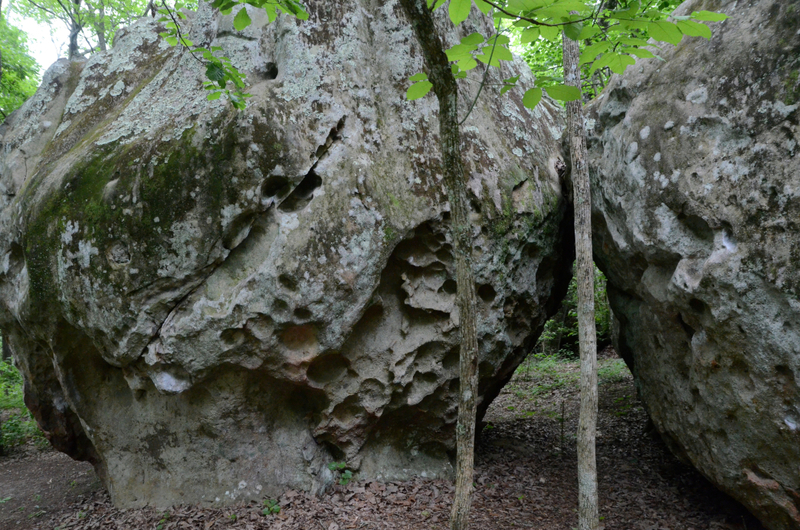 One of the most recent land acquisitions through a partnership between the Southeastern Climbers Coalition and the Access Fund, this crag is now protected and open to climbing without worries about trespassing on private property. It offers some of the best quality sandstone around (on par with Horse Pens 40) plus the added benefit of a potential first ascent. There are about 150 to 200 problems as well as some short top-rope and sport climbs in the area. 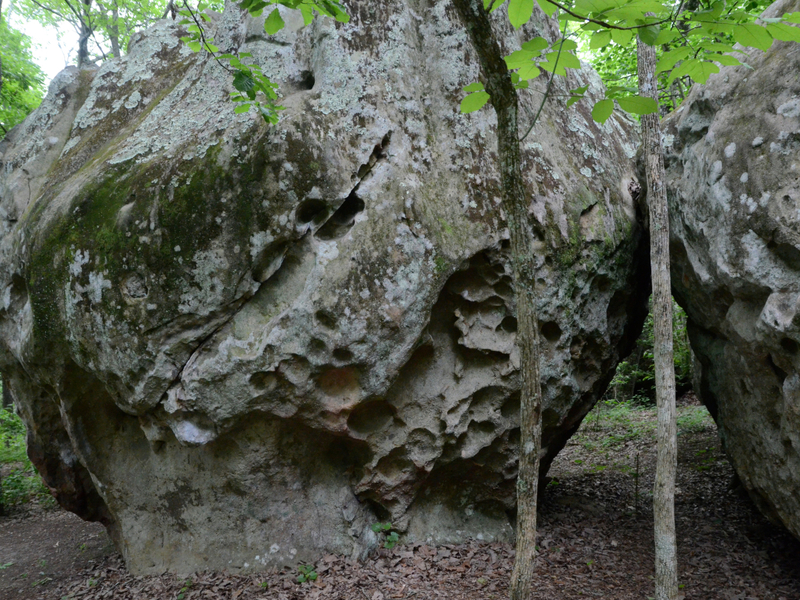 We suggest you take the opportunity to check out Hospital Boulders so you can say you were there before it became the place to climb in Alabama. 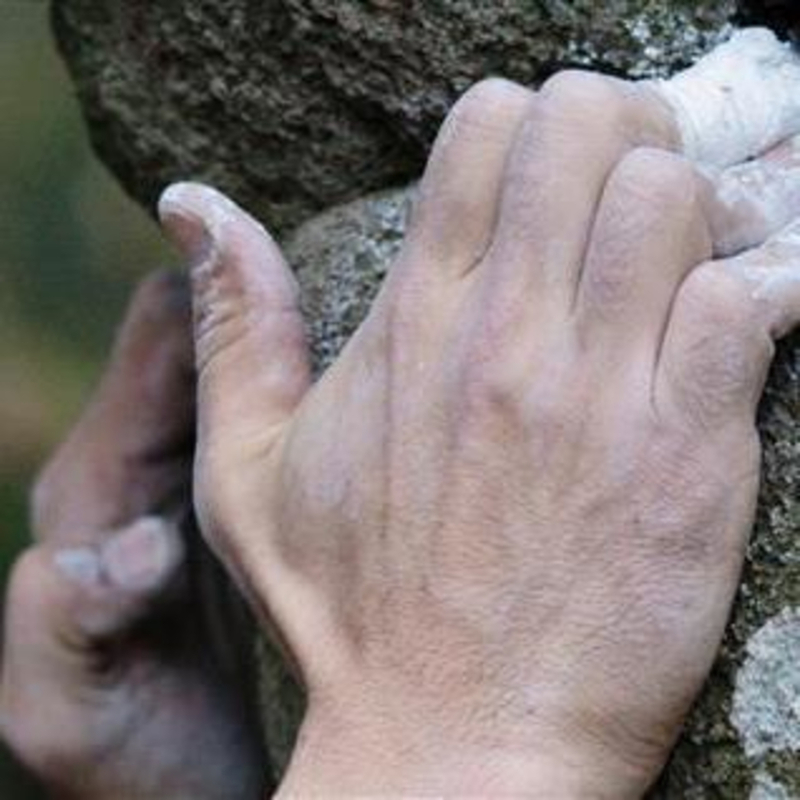 Unlike many of the well-explored crags throughout the southeast, Hospital Boulders is new and still under development, so you’ll be exploring and climbing new lines on a wide variety of problems. Less traffic and development might make it slightly more difficult to navigate, but with everything from overhanging roofs, slopers, and 50-foot boulders, you can spend a day exploring on your own without the need for a detailed guide. There may not be any camping allowed at Hospital Boulders, but it is perfect for a full day of bouldering and picnicking. The Southeastern Climbers Coalition, the Access Fund and many volunteers have made this place accessible after many years of being below the radar of popularity, the news of its existence only spread by word of mouth. Since 2012, this place has been officially opened to the public, and will not disappoint. 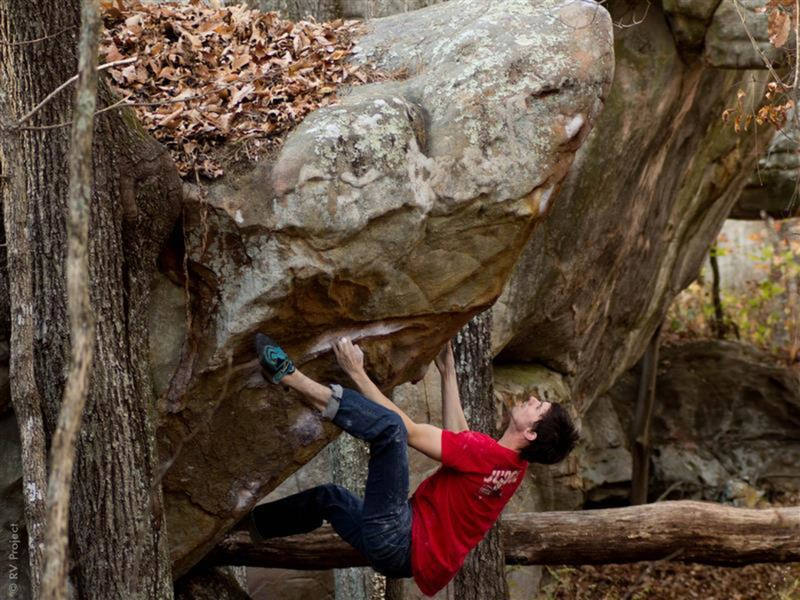 Grab your shoes, crashpad, water and snacks and take off to Hospital Boulders. This is a place for everyone with V-levels all over the scale. This is a unique boulder field with tall formations and all types of problems. Tackle the slabs, steeps, faces, bulges, overhangs and anything that beckons to you. With low traffic, this is the perfect place to escape from the city, noise and crowds. Access the site through a couple unlocked gates off the main road, just past the parking lot for Mountain View Hospital. Look for the black gate where the road bends sharply to the right, and go through the gate. Continue on to the second gate and park at the SCC barn. The boulders are a few hundred feet north past the barn. Have a great climb, but please remember to close the gates behind you (don’t lock them) and respect the neighbors as they need time to adjust to climbers exploring the area.